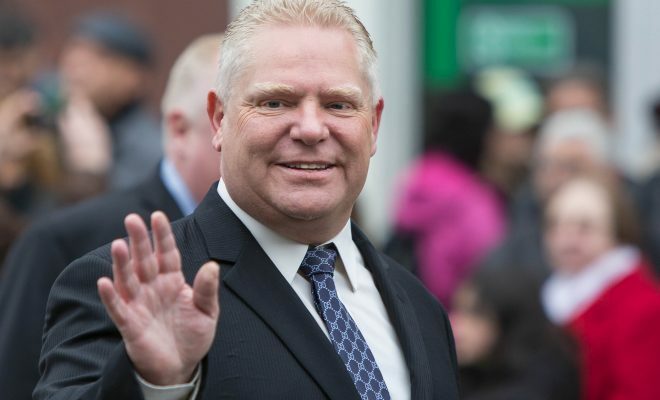 Economists are steering clear of Ontario Premier Doug Ford’s wild, apparently unsubstantiated assertion earlier this week that the federal government’s floor price on carbon will trigger a recession. And it appears that the report his office cited to back up the statement draws the opposite conclusion. There were just a couple of problems for Ford’s headline-grabbing claim: the report that Ford’s press secretary cited as a reference raised no concerns about a recession, not a single economist from Canada’s four biggest banks was prepared to comment, and the economist who did talk to CBC said there’s no evidence to support the original statement. In February 2017, Conference Board Chief Economist Craig Alexander said the Canadian economy could handle a $100-per-tonne carbon tax, far above the $50 ceiling the Trudeau government has in mind by 2022. While four senior bank economists declined to comment when CBC contacted them about Ford’s remarks, Canada’s Ecofiscal Commission Executive Director Dale Buegin said his organization’s analysis shows only a modest impact from the federal carbon price. While the modelling points to a very slight reduction in economic growth, that’s “a very, very far step away from a recession,” he said. “That money being collected is not being burned, it is being sent back into the economy in different ways,” Buegin explained. “He said the federal backstop model would keep the economy buoyant by sending carbon tax revenue back to households to be spent,” CBC states.